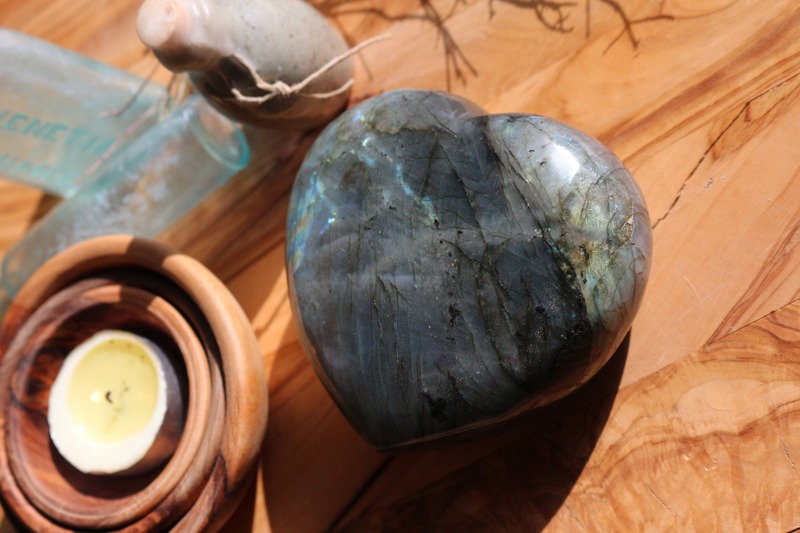 This large Labradorite Heart is hand-carved and hand-polished on all sides and is puffy like a pillow. 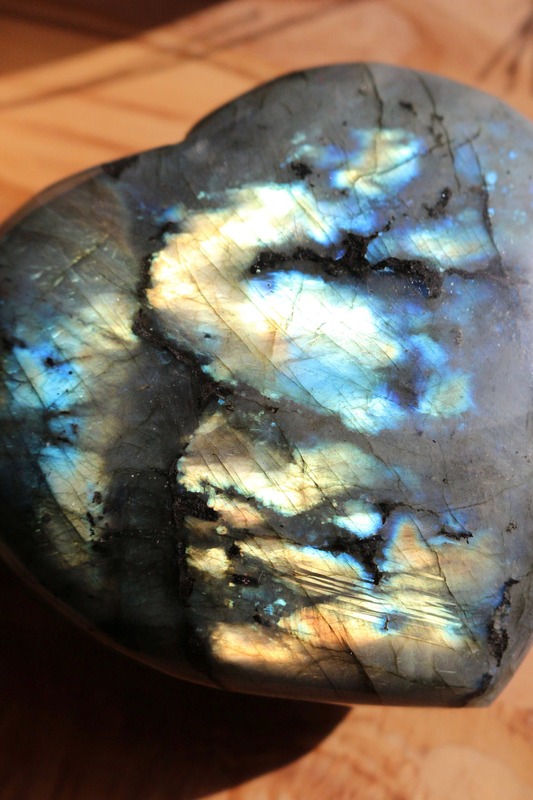 The incredible Auralesence in this piece contains colors such as rare pink and peach, purple and magenta, and a beautiful blue fade with a "shutter effect" which at different angles, what shows as blue now fades, and the darker lines flash blue. 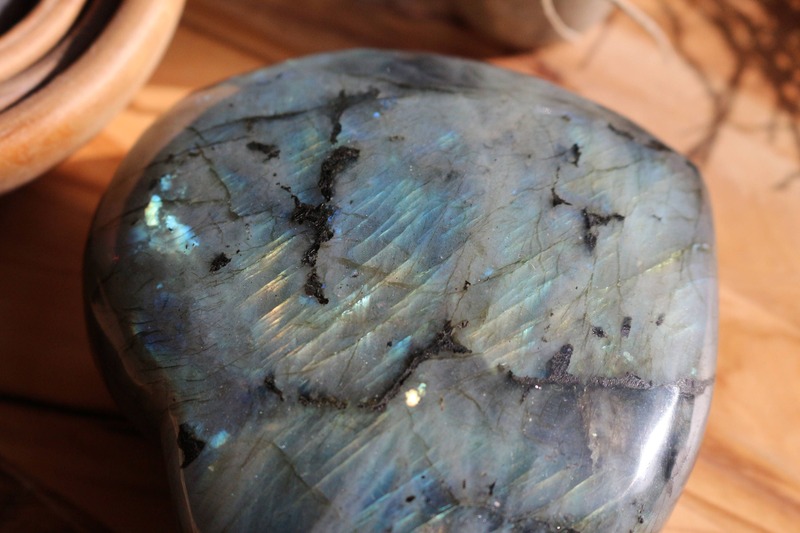 Madagascar sources the best and most desirable Labradorite on the Earth. 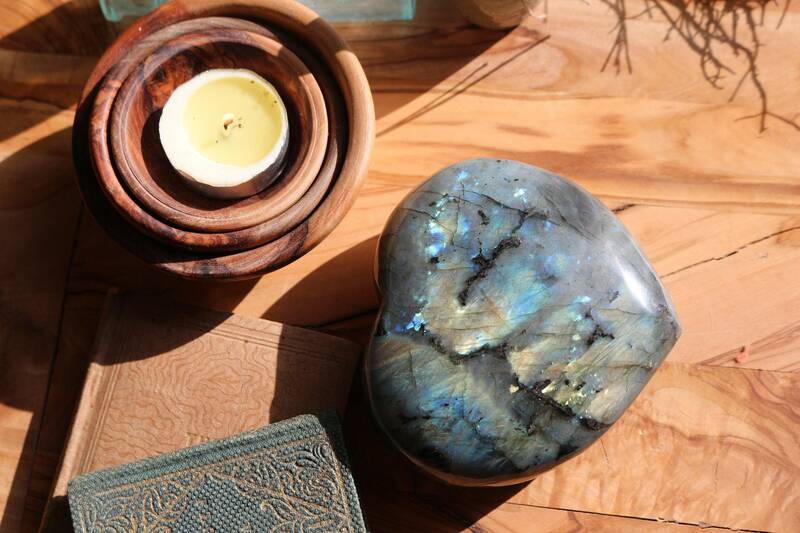 A stone of transformation, Labradorite is a useful companion through change, imparting strength & perseverance. 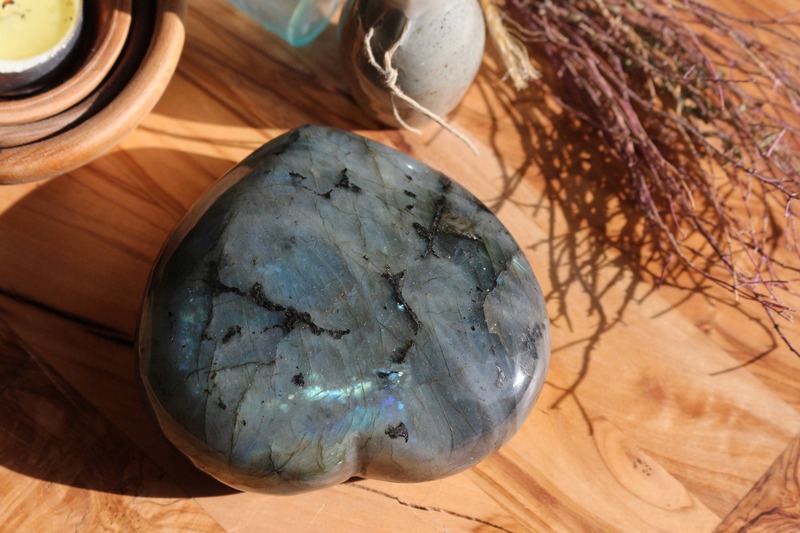 It can raise consciousness and grounds spiritual energies. 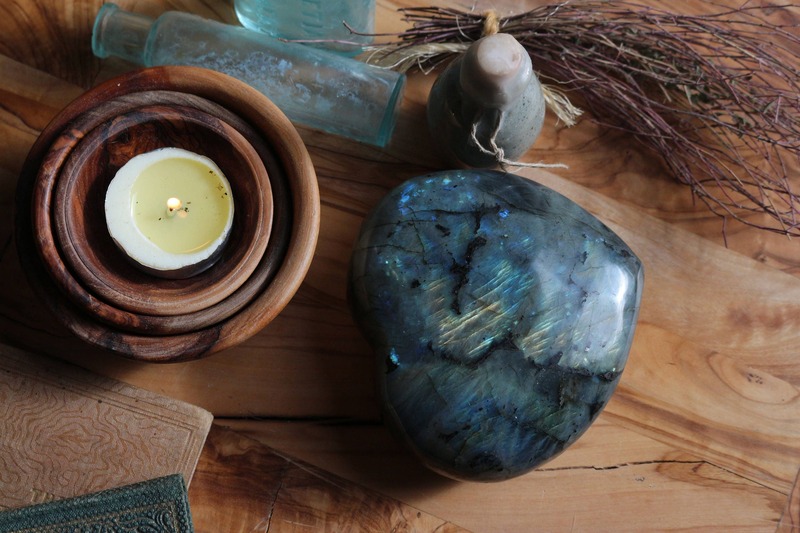 Excellent for strengthening our intuition and banishes fears and insecurities. 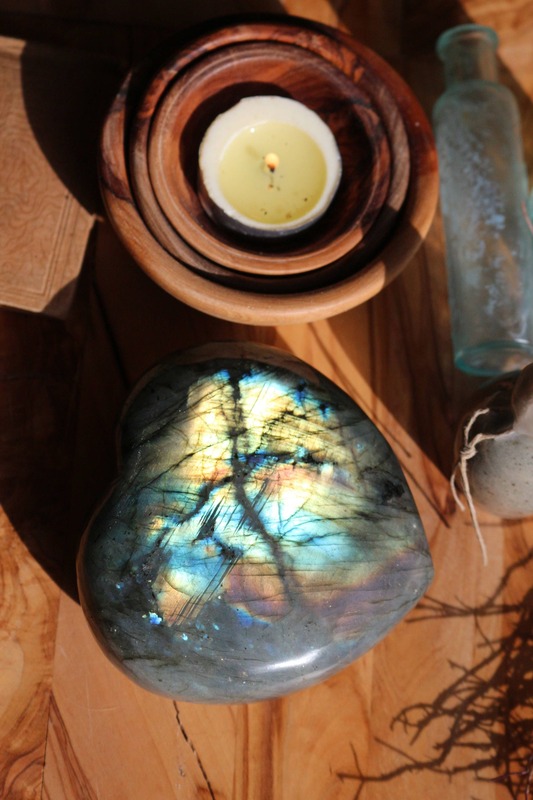 It helps to strengthen faith in oneself and can stimulate our imagination, developing new ideas and enthusiasm. 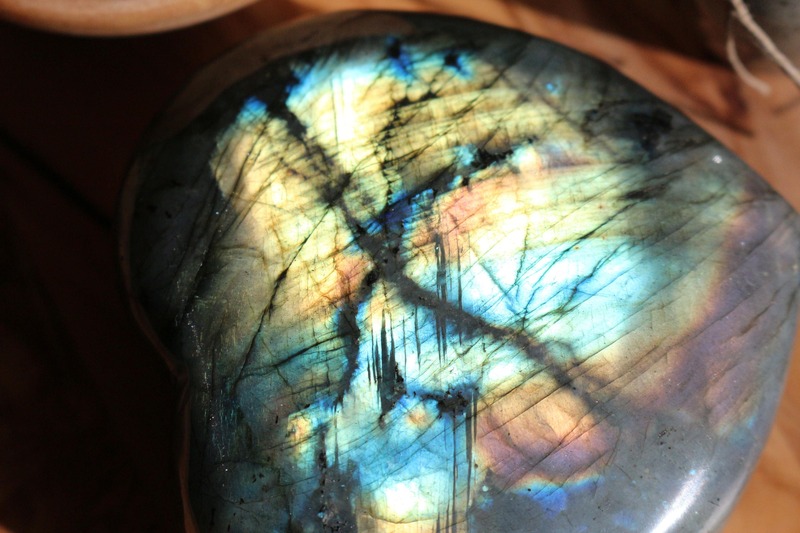 Labradorite is associated with the Throat and Heart Chakras.